Leaked iPhone 5 image turns out to be fake. Whew… the excitement and tension building up to the iPhone 5 is getting thick. Today, someone posted an image on MacRumors who claimed the image was a leaked photo of Apple’s next generation iPhone, the iPhone 5. 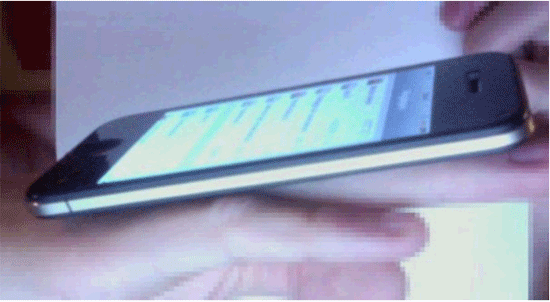 The new iPhone, according to the user on MacRumor, was much thinner in design and much faster than the current iPhone 4. Unfortunately, according to a tweet update here, the image was actually a fake. More than likely, the fake image is coming straight out of China where there’s been other fake images, and even a fake video (see below), of the Apple iPhone 5. However, with the iPhone 5 fakes all looking very similar, we have to wonder if someone out there doesn’t actually have a leaked version of the device and is already building the fake models for the iPhone black market in China.